Bobby J. Noll, 40, passed away Monday, September 24, 2018, at his residence, with his loving family at his side. He was born November 1, 1977, in Warren, Ohio, the son of Peter A. and Cynthia L. Akey Noll. Bobby was employed by Dillen Manufacturing in the maintenance department. He enjoyed working with his hands, gold panning, fishing, playing video games and working on cars. 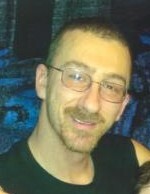 Bobby is survived by his fiancé, Rosemary Dobbins of Niles; his parents, a son, Samuel Noll at home; three daughters, Jessica Schultz of Tucson, Arizona; Hanna McGee of Vail, Arizona; Edith Noll of Warren; a brother, Daniel (Samantha) Noll of Tucson, Arizona; a sister, Rhonda M. Noll of Warren; a nephew, Tyler Noll; and a niece, Alexis Noll. Funeral services will be 11 a.m. Thursday, September 27, 2018, at the Holloway-Williams Funeral Home & Cremation Service, 611 Robbins Ave., Niles, Ohio, with Pastor Stephen West officiating. Family and friends may call from 10 a.m. until time of service. As per Bobby’s wishes, everyone to dress casual.